The National Association of Realtors recently released some data that is sure to be encouraging for anyone thinking about selling a home. Evidently, existing home sales increased for the second month in a row in May to a level that is significantly higher than last year. What’s more, median home sales prices saw double-digit year-over-year increases. All of this suggests that the national housing market is indeed rebounding. Sales of existing homes (which include single-family, town homes, condos and co-ops) increased 4.2 percent to a seasonally adjusted rate of 5.18 million. In April, that figure was 4.97 million. What’s more, sales of existing homes were 12.9 percent higher than the 4.59 million-unit pace that the nation saw in May 2012. 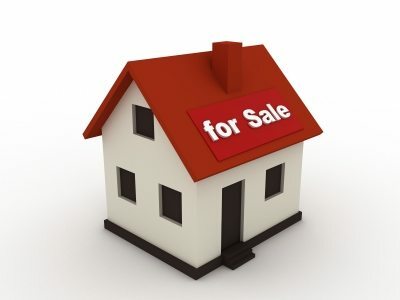 Sales of existing homes have reached their highest levels since November 2009. Existing home sales have shown year-over-year increases for the last 23 months. Meanwhile, the national median price has seen year-over-year increases for the last 15 months. The total housing inventory at the end of May jumped 3.3 percent to 2.22 million existing homes for sale, which represents a 5.1-month supply. A year ago, the total supply of existing homes for sale was 6.5 months. In May, the median home sales price for existing homes was $208,000, up 15.4 percent from May 2012. For the last six months, the median existing home price has seen double-digit increases. Meanwhile, the total number of distressed homes hasn’t changed since April, representing about 18 percent of May sales. Still, that’s the lowest supply of distressed homes on the market since October 2008. Analysts say that because of the high demand for homes, buyers across the country can expect a limited supply of available homes for sale for the rest of 2013. The only likely remedy for the housing shortage is an increase in new home construction by 50 percent, experts say. Experts also noted that the average commitment rate for a 30-year, conventional, fixed-rate mortgage increased from 3.45 percent to 3.54 percent between April and May. In May 2012, that rate was 3.8 percent. The type of housing market environment we’re seeing right now is nearly opposite of what we saw during the housing boom. Just six years ago, there was plenty of overbuilding going on all across the nation. Today’s housing market is marked by a great shortage of homes for sale. Pair that with a lot of pent-up home buyer demand as well as a 29 percent increase in buyer traffic and you have favorable conditions for home sellers across the country.